Pat Plowman, pictured on the left in the blue cap, is doing one of her favorite activities in Victoria Educational Gardens...touring with children and adults in the garden. 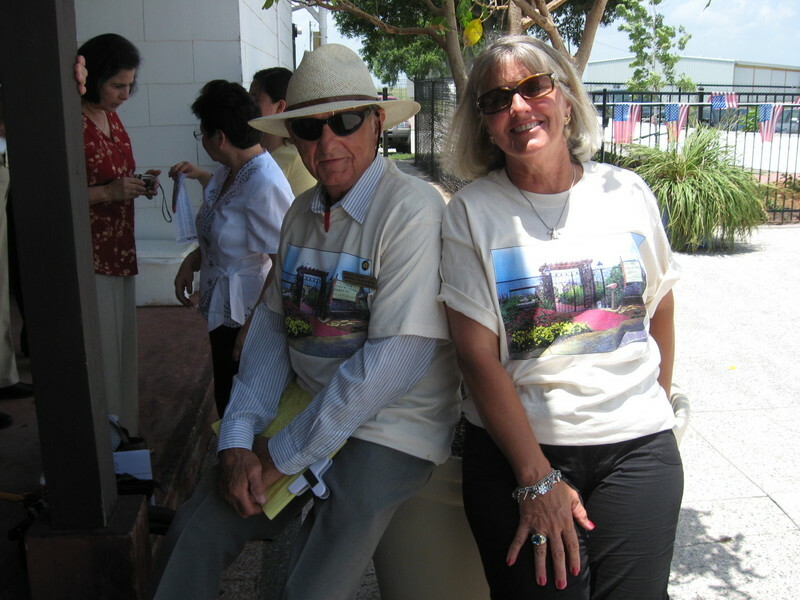 One of many happy events for Pat Plowman and her master gardener friend, Ed Gregurek, was the 2007 Opening of the Expansion Area with the Tropical Koi Pond and eleven areas at Victoria Educational Gardens. 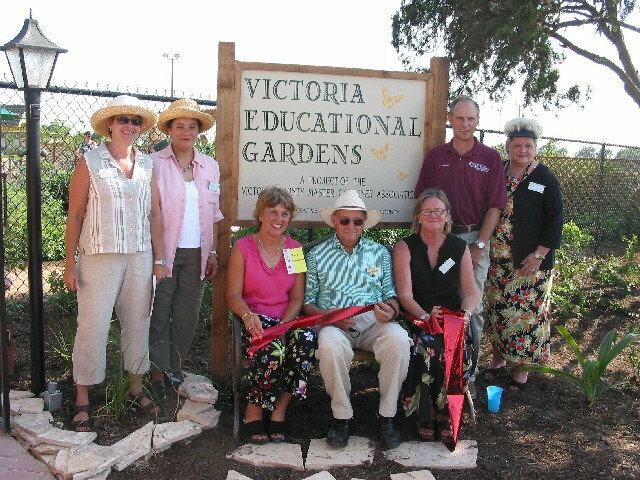 In this photo memory, Pat Plowman is seated to the left of Ed Gregurek and Barbara Sparkman along with the 2003 VCMGA Officers and Extension Agent, Joe Janak, at the Grand Opening of Victoria Educational Gardens in 2003. Always cheerfully willing to serve VCMGA, Pat is pictured here at the 2009 VCMGA Spring Plant Sale. 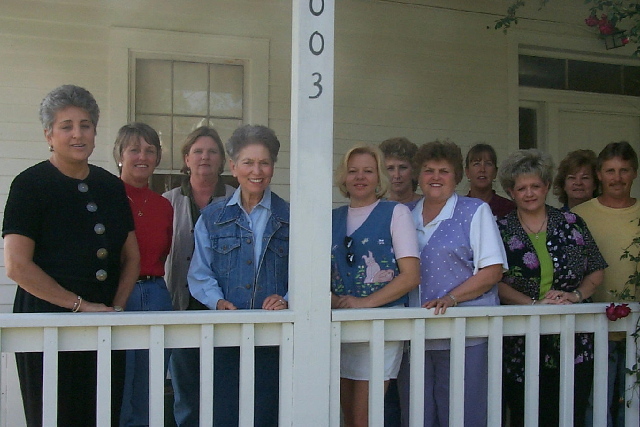 Pat Plowman's 2009 Award Submission was submitted by Suzann Herricks, and the following is the description of her participation in activities that promote Master Gardeners & Texas AgriLife Extension. Pat Plowman is a go-to, can-do, will-do person fulfilling many officer and committee positions since 1998, including President. In 2000, it was Pat�s idea and dream to build an educational garden for children and adults. Called Victoria Educational Gardens (VEG), now in its 8th year and comprised of nearly 1.5 acres of 16+ mini gardens, greenhouse, rainwater systems, water gardens, children�s garden, military honor garden, demo areas and now the final phase - our 6000 sq. ft. $250,000 Master Gardener pavilion, it is valued over $500,000, 98 % complete and toured by thousands annually. Pat has been instrumental from day-one in not only accomplishing this but motivating others to be involved in this as well as in dozens of other unrelated projects. Pat completes projects with ease, stays informed attending gardening conventions and symposiums, speaks to community groups, guides garden tours and sharing knowledge with others, making her a Superstar. List and describe programs & projects in which the nominee participated. Victoria Educational Gardens (VEG) - Co-chairs operations of the children and vegetable gardens, 16+ mini gardens, greenhouse, rainwater system, water garden and demo areas. VEG�s mission is to increase horticultural education to the community. Works with members to form committees for each area�s upkeep. Reviews plant/garden structures, works alongside members to weed, prune, plant, etc. and serves as tour guide for clubs/schools/civic groups. Design and construction of a $250,000 multipurpose pavilion - Chaired the design, construction and funding of a 6000 sq. ft. pavilion to be used for symposiums, workshops, school tours, 4-H, etc. Keeping Victoria Beautiful � Designed/installed a native/xeriscape landscape at the Hiller House, the oldest English styled farmhouse in Texas and headquarters for the Keeping Victoria Beautiful organization seeking to improve the quality of life for Victoria area residents. Annual Garden Tour - Co-chaired tour, enlisted local gardens for the tour, procured sponsors, helped develop educational brochures for attendees. 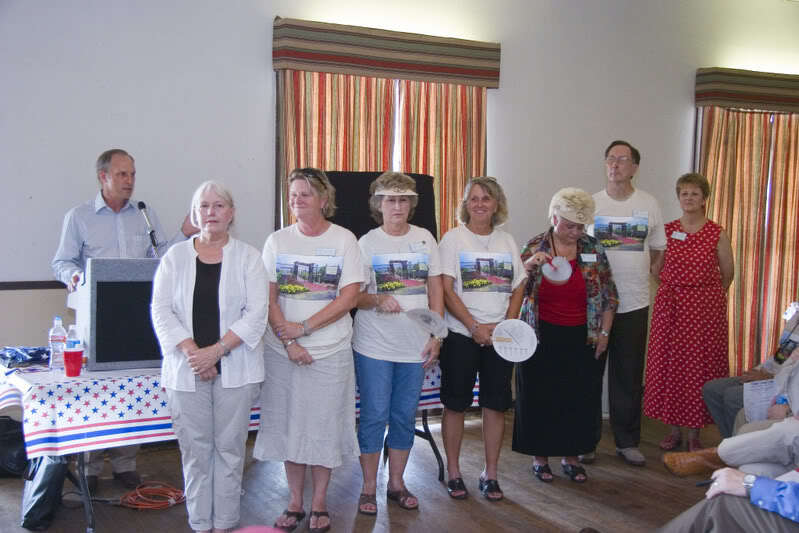 Tour netted $24,000 for VEG/pavilion construction. The Gardeners Dirt - Authored 3 gardening news articles for weekly newspaper reaching 14 counties. South Texas Farm and Ranch Show - Presented a mini-forum on seeds for 700 school children. Fall and Spring Plant Sales � Chaired organization of plants at both plant sales as well as propagated many plants at home to support VEG. Volunteer Speaker�s Bureau - Made a presentation to the public about water gardening at Northside Pet and Lawn Center, a local farm and gardening business. 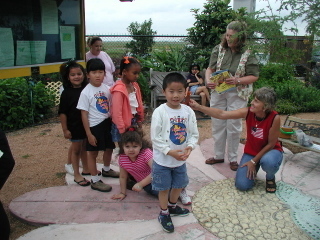 Describe abilities related to working individually & in groups with Master Gardeners and Texas AgriLife Extension. When there is a need, Pat generates ideas, communicates those ideas and organizes the work to get projects completed. She has worked tirelessly with area contractors and county and airport officials in the construction of a multipurpose pavilion and enlists their support for ongoing projects at VEG. She is a liaison between Texas AgriLife Extension and Master Gardener programs ensuring that Victoria County Master Gardener Association (VCMGA) programs/projects agree with Texas AgriLife Extension goals and policies. She uses community contacts to raise funds and to procure garden sites for the Annual Garden Tours and supports area gardening projects when requested. 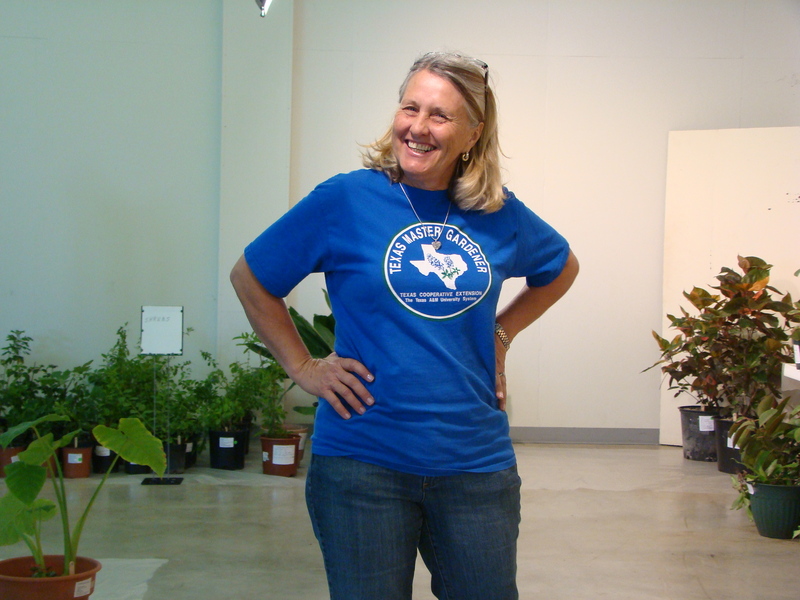 Self-motivated, she continually updates her horticultural knowledge through independent research, Texas Master Gardener conventions, symposiums and lectures. She shares that knowledge by speaking to community groups, leading garden tours and writing newspaper articles. She serves on the VCMGA Executive committee offering information, advice and support. She works with individuals and organizes committees to maintain VEG areas. She is always available either by cell phone or email. She encourages and inspires other members to become involved by individual contact and example. 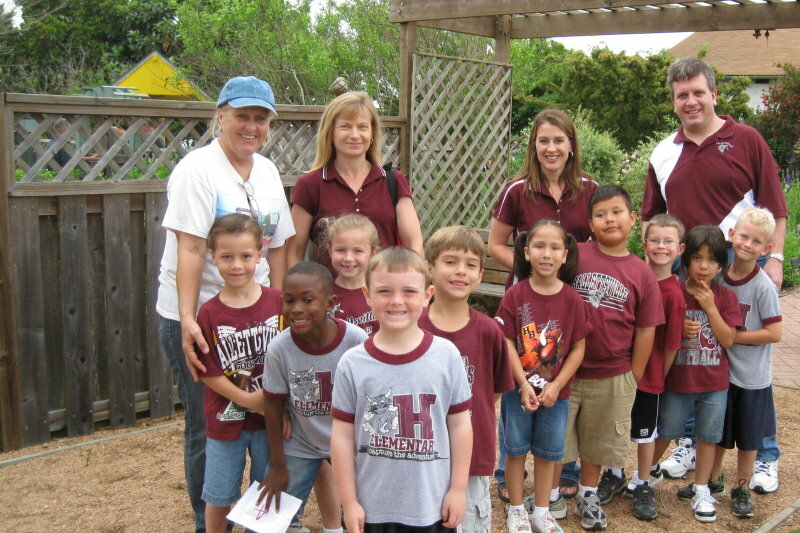 Describe participation in activities that promote Master Gardeners & Texas AgriLife Extension. Pat�s involvement has contributed to the education and knowledge base for the public and Master Gardeners in Victoria and 8 area counties. This year she has assisted with VEG tours for more than 1100 school children, numerous adult groups and VEG orientation for the new 2009 trainee class. She has shared her knowledge of landscape design, gardening practices, plant knowledge and pond ecosystems with area organizations and at �Lunch and Learn with the Masters� as well as writing 3 newspaper articles for The Gardener�s Dirt. Her ideas and work led to the development of VEG and the Master Gardener Pavilion amplifying Extension�s educational programs, outreach and contacts. Her contacts with airport, county, Texas AgriLife officials, community organizations, individuals and corporations make her an ambassador for the Master Gardener program and have helped lead efforts to raise over $500,000 for VEG development. In addition, she serves on the VCMGA Executive Board and as Co-chair for VEG operations where she encourages all members to actively participate. Hours contributed to Master Gardeners in 2009. 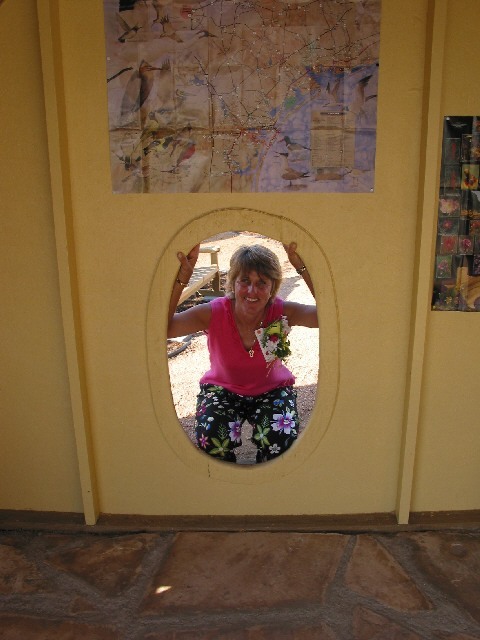 Pat peers into the birdhouse classroom in the Birding Area at VEG in 2003. The Butterfly Area is Pat's favorite area in VEG to tour with the many visitors at Victoria Educational Gardens. Here she is kneeling in front of Mary Janak.